Joki grow up on a little island in Croatia, Hvar in a family of herbalist and healers. From an early age, she understood the importance of healthy, organic, fresh, clean food. “Food as energy and food as medicine” is the motto she grow up with. Arriving in England in 1989, she was incredibly lucky to start working for Neal’s Yard Bakery, London where she got her first chef training, and very fast moved to developing new recipes, gluten free and vegan, to make food tasty and healing in the same time. Spending winters in India and discovering Yoga was another experience that moved Joki on the path she is on now. Joki believes that combining Yoga, meditation and healthy food is the recipe for a long, healthy and happy life. In 2002, Joki and her 5 month old son moved to Bali, Indonesia, where she opened The Little Green cafe, a popular place for yogis and everyone who wanted to eat healthy food. She became a food educator, helping people understand the importance of nutrients and energy that food gives to our body. Joki maintains that food should be connected to nature; by listening to nature, we learn to listen to our bodies. 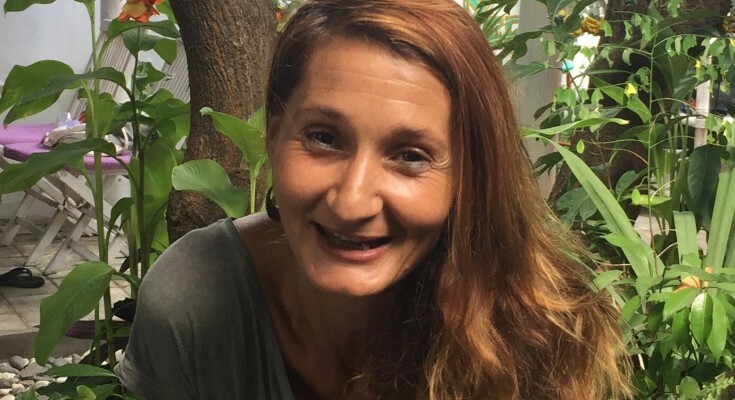 Joki has had the opportunity to cook for many yoga retreats in Bali, Indonesia, with food that supports and deeply nourishes the participants, complements the practice on offer and educates and inspires. For Joki, it really is a privilege to cook for people in this environment. Joki loves learning and feels blessed that her work is an extension of her life and all that she feels so passionately about. Joki recently moved back to the UK, and is looking forward to meeting and connecting with many more of you!